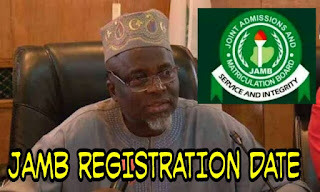 The 2019/2020 Joint Admission Matriculation Board (JAMB) registration which started on the 10th of January and would also end on February 21st has said to have registered over 300,000 candidates in less than a week. The Jamb Registrar said he was happy with the development and also the way the registration process is going, he also disclosed that over the past week they have registered over 300,000 candidates. The JAMB Registrar Professor Oloyede said all candidates with biometrics problems to come to Abuja for it to be rectified, this were his statement. “Any candidate with problems capturing of his or her finger prints at their respective registration centers will need to come down to our office in Abuja. Although The National Parent Teacher Association of Nigeria (NAPTAN) complained that the requirement to rectify the biometric issue was demanding but nothing has been heard from JAMB.